New Delhi: A lot has been said about former Prime Minister Manmohan Singh, who was the architect of India's historic economic reforms unleashed in 1991 under the P V Narasimha Rao government. But few people in India are aware of how Manmohan, the bureaucrat and academic, became India's Finance Minister at such a turning point in the country's history. This also marked his entry into politics. Why was he called upon to lead India's economy just then? In her book 'Strictly Personal', Manmohan Singh's daughter Daman Singh asks her father how he came to be the FM. It seems Prime Minister Rao asked Manmohan to be his Finance Minister just like that, out of the blue, on that fateful day in 1991. On 21 June Rao was sworn in as prime minister of a minority Congress government, formed with outside support. He then asked Manmohan to be his FM. 'Just Like that? Out of the blue? Daman asks in the book. 'Yes' replies Manmohan. And then goes on to narrate how P C Alexander rang up frantically late at night, saying he wanted to see Manmohan immediately. "I had gone to the Netherlands for a conference. I came back late at night - I was asleep - and P C Alexander rang up frantically saying that he wanted to see me immediately. Then he came over and told me that Narasimha Rao ji was considering me for the position of the finance minister. I didn't take it seriously. The ministers were being sworn in the next day. They were searching for me. I was at the University Grants Commission office. They said I must go home and get dressed and come for the swearing-in ceremony. Everybody was surprised to see me as a member of the new team lined up to take oath of office. My portfolio was allotted later, but I was told straight away by Narasimha Rao ji that I was going to be Finance Minister". But why did Rao zero in on Manmohan Singh as FM? According to this piece in the Economic Times, Rao needed a finance minister with "immense credibility" and Manmohan Singh became the face of reforms. Jairam Ramesh was OSD in Rao's PMO in 1991 and recalls his meeting with Rao the day after he became Congress president. "He told me that he was not an expert on economic issues and that I should coordinate meetings with Pranab Mukherjee and keep briefing him on these subjects," Ramesh recounts in his book To The Brink and Back: India's 1991 Story. The man who confessed that he did not understand economics realised the magnitude of the crisis in a couple of hours on 19 June. Quoting Rao's Biographer Vinay Sitapati, the article goes on to say the realisation came through a note read by Rao and written by the then cabinet secretary Naresh Chandra on the economic crisis. Rao shrewdly realised that he needed a finance minister with immense credibility, not just to convince the detractors at home but also the doubters abroad. Manmohan Singh, the erudite economist with irreproachable integrity, was to be the face of the reforms. Manmohan was not a close associate of Rao before being appointed FM and daughter Daman says in her book that her father knew Rao "very slightly" from his days in the Planning Commission when Rao was a Cabinet Minister. She asks if Rao had his own perspective on the economic policy. 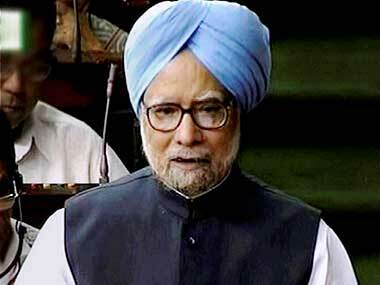 Manmohan's reply is at once, tongue-in-cheek and factual. "Well, I don't think he had thought it through. But he had faith in what I told him. He also jokingly told me that if things worked well we would all claim credit, and if things didn't work out well I would be sacked". That Manmohan was the face of reforms and would himself face the axe in case the reforms bogey got derailed, was amply clear. At one place in the book, Manmohan says in reply to a question about risks involved with his bold reforms agenda "Well, one thing was quite clear - if this did not produce results in a reasonable period of time, I would be removed". He also points out that had the reforms push failed, "the country's credit worthiness would decline, there would be reckless inflation, there would be stagflation, there would be a lot more unemployment......If I was not allowed to complete the changes, half-baked measures would have produced uncertain results". Manmohan steered India's economy at a time when it was certainly in dire straits. In his own words, when the Rao government assumed office, foreign reserves had dwindled to Rs 2,600 crore, barely sufficient for two weeks' imports. International commercial banks were refusing to extend new credits. Industrial growth had turned negative because of a severe import squeeze and inflation was accelerating. A hugely controversial decision by the Rao-Manmohan duo was devaluation of the rupee. Manmohan had a smart retort to sceptics. "Our people - the economists, the journalists and the politicians - somehow believe that devaluation is sinful and dishonourable. It is nothing of the sort. The exchange rate is just a price. If you are in the business of selling, your price has to be competitive". Manmohan lets on that devaluation was not a Cabinet decision and only Prime Minister Rao's consent was sought for this momentous call. "When we changed the rupee's exchange rate, I had to get his (Rao's) consent. I didn't get the consent of the Cabinet because this was too sensitive a matter to be discussed in the Cabinet. But Narasimha Rao ji was taken into confidence at every stage.....". Manmohan also explained why borrowing from the International Monetary Fund did not imply that India had lost its sovereignty. In fact, contrary to popular belief post 2004 that Manmohan was a pliant tool in the hands of Congress President Sonia Gandhi and rarely used his own will to implement decisions, his daughter's book shows Manmohan to be a confident economist and decision maker. At various times and during different speeches, Manmohan dispelled alarm over the entry of MNCs and spoke of the difficulties of financing public sector losses. But most of all, his views on how pursuing the reforms agenda was not really contrary to what Jawaharlal Nehru had propagated make for interesting reading. Manmohan asserted that the vision of a self-reliant India (propagated by Nehru in the fifties) was completely at odds with the reality of a highly-protected economy that needed large concessional foreign aid to survive. Then, as now, the media seemed to be intrigued by Manmohan's transformations. Daman says in her book that a popular story in the media then was about how her father had been transformed from a meek, mild civil servant to an aggressive advocate of social change while at the helm as India's Finance Minister. Some attributed this transformation to his alleged sell-out to Western capitalism. Singh replied thus " I don't think it is at all true that I have been timid. One day when the country's archives are prepared, people will know the truth. What I am saying now is what I've been saying ever since I came into the government.....I have not been timid. I have spoken my mind freely and frankly....".